We like to remain optimistic here at GFR. We like to think that, in spite of all the challenges facing our species, we will ultimately overcome those obstacles and find a way forward, together, even if that path is messy and full of false starts. 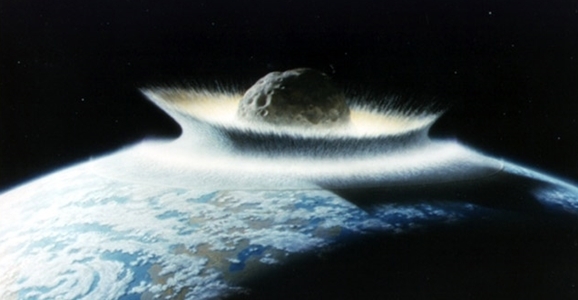 But if we are doomed to be wiped out before we manage to leave the cradle, one of the most likely doomsday threats is a rogue asteroid smacking into our planet. It’s a very real threat, and there’s no telling whether we would be able to do anything about it even if we got plenty of advance warning. 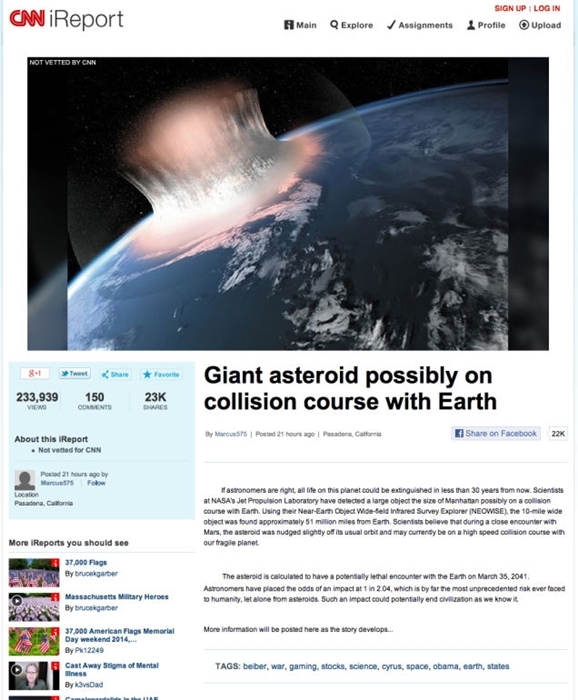 So, you can understand why some people might have been a little upset earlier this week when CNN published a story claiming that we had a 50% chance of being hit by a potentially civilization-ending asteroid in 2041. On March 35, 2041, to be precise. If astronomers are right, all life on this planet could be extinguished in less than 30 years from now. Scientists at NASA’s Jet Propulsion Laboratory have detected a large object the size of Manhattan possibly on a collision course with Earth. Using their Near-Earth Object Wide-field Infrared Survey Explorer (NEOWISE), the 10-mile wide object was found approximately 51 million miles from Earth. Scientists believe that during a close encounter with Mars, the asteroid was nudged slightly off its usual orbit and may currently be on a high speed collision course with our fragile planet. The asteroid is calculated to have a potentially lethal encounter with the Earth on March 35, 2041. Astronomers have placed the odds of an impact at 1 in 2.04, which is by far the most unprecedented risk ever faced to humanity, let alone from asteroids. Such an impact could potentially end civilization as we know it. So, the good news is that the planet is not, so far as we know, doomed. 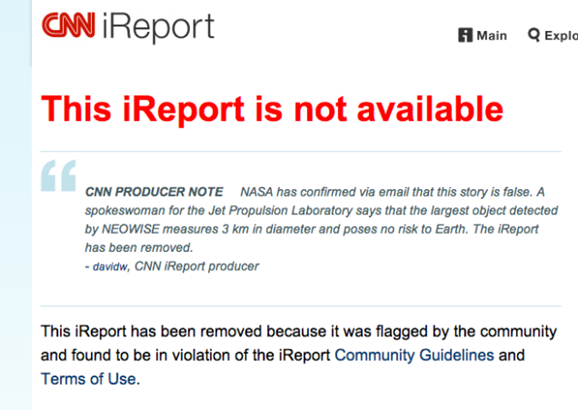 CNN’s credibility, however, may still be a smoking hole in the ground come 2141.